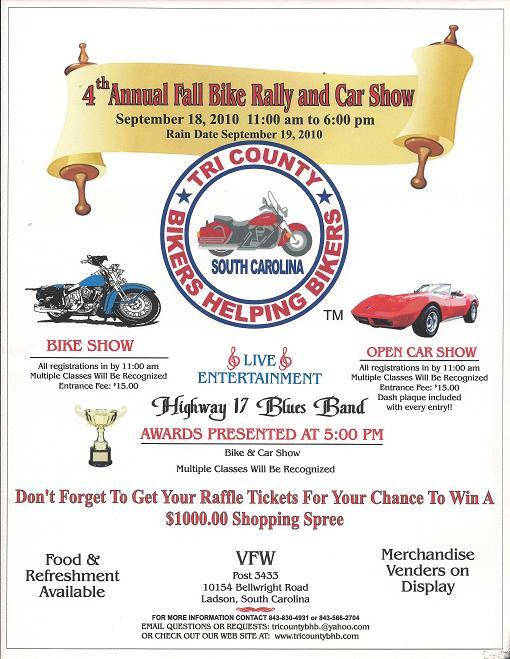 I’m excited to announce to my readers that Bikers Helping Bikers will be holding an excellent benefit event in Summerville, SC. The event takes place on Saturday, June 11, 2011 at Shooters in Summerville, with the first bike riding out at 11 a.m. The even ends at 3 p.m. at Market Street Saloon in North Charleston.Upon arrival to the Market Street Saloon, bikers will receive chicken wings, provided by the Saloon. The benefit costs $15.00 per rider and $5.00 per passenger. This registration fee will be split equally among One Lucky Rider and Bikers Helping Bikers. I’ll be riding in the event, so I hope to see you there! 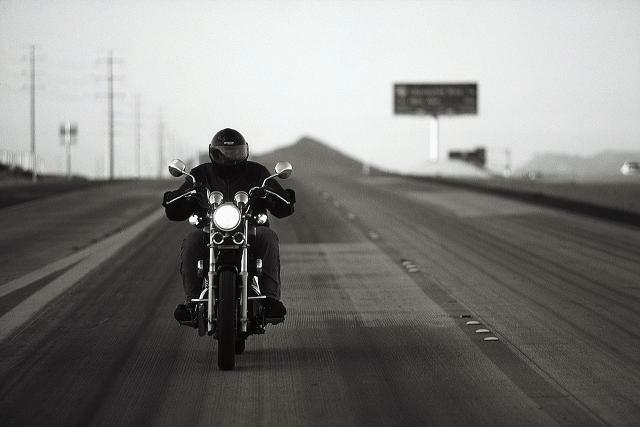 Contact Bikers Helping Bikers for more information about the event and how to register. Tri-County Bikers Helping Bikers is a local non-profit dedicated to helping bikers injured in motorcycle related accidents. This group provides tremendous support to bikers and their families in our community. I am proud to support this great cause and hope you will come out on September 18th and show your support, too! To learn more about this upcoming biker event visit www.tricountybhb.com.